Following on the heels of a similar piece of legislation passed in Florida this year, California became the latest state to raise the age requirement to purchase a long gun to 21, when Governor Jerry Brown signed SB 1100 into law last Friday. Passage of the bill makes it a criminal offense for 18-20 year olds to buy firearms like a 12-gauge hunting shotgun or a Ruger 10/22 plinking rifle. 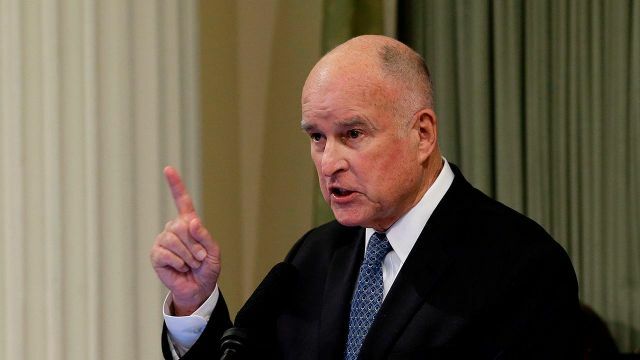 Governor Brown and his legislative allies claim that passage of the bill will make Californians safer, by keeping guns out of the hands of young people. The truth is that young people often use long guns to defend themselves and their loved ones from violent criminal attacks, even though their stories receive very little media time. In February of this year, this 17 year-old young man used a rifle to shoot and kill an armed suspect in the midst of a home invasion attempt. Last year this 19 year old man used a rifle to shoot and kill three armed robbery suspects who broke into his parent’s home during a daylight robbery. This young college student used a rifle to stop two armed suspects who had already broke into the apartment he shared with a college roommate. And this 15 year old stopped a Texas home invasion in-progress by shooting at the suspects, ending the attack, and protecting his 12 year-old sister in the process. Of course there are hundreds and thousands of more examples, but these stories and the young lives saved in the process don’t matter to Jerry Brown and gun control activists because these stories do not fit their political agenda. And lest some gun owners shrug and say, ‘It’s no big deal, you need to be 21 to buy a handgun anyway,’ realize that this is just one more encroachment that will lead to another and another. Maybe if gun owners in previous generations would have understood this — and stopped the law that required you to be 21 to buy a handgun — we would not be making criminals out of 20 year-old who try to buy a hunting rifle today.